Thursday Travel: Go, Dog. Go! 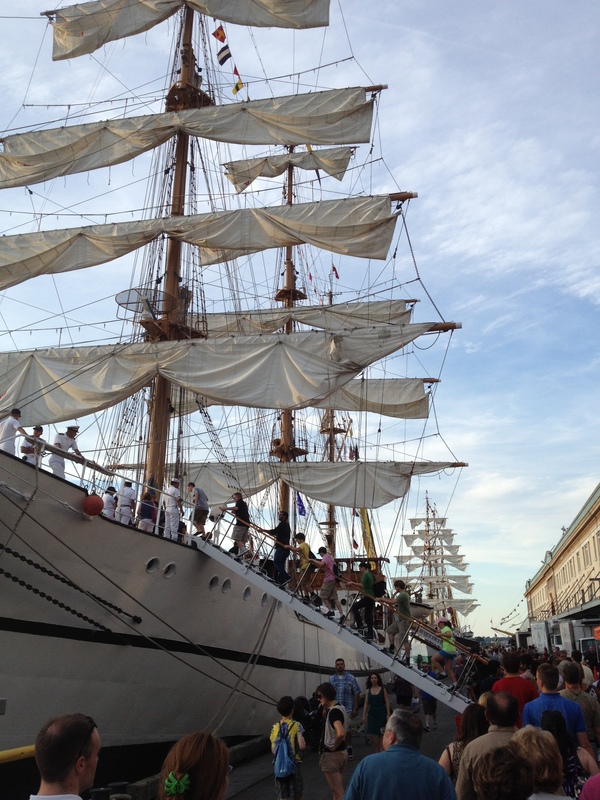 The tall ships visit Boston, 2012! This past weekend, my husband and I went into Boston to see the tall ships that are arriving to commemorate the 200th anniversary of the war of 1812 and just be a fantastic feature of the Fourth of July. It was a great day all around but what made it even better was the inclusion of our big, furry mutt in the festivities. See, in Boston (and possibly in your city too: go check! 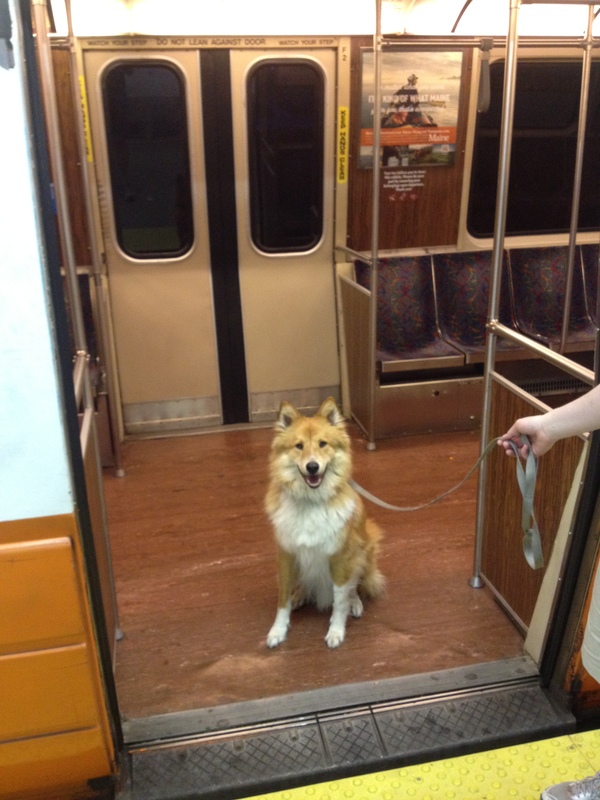 ), you can take dogs on the “T” (subway) any time it’s not rush hour. This means that the whole city is only a leash-length away for a fun family walk. A quick note: if you do plan to try this, I highly suggest a clicker and a big bag of super-delicious treats (something a cut above the normal) so that you can communicate to your dog which T-riding behaviors are the ones you like the most. Believe in your dog: with a little training they can be model public transit users. This was only my dog’s 3rd train trip but already he knew to wait for permission to board, to lie down near our feet at the end of the carriage, and not to bark when people left the train (he’s part Australian Shepherd and he takes the loss of flock members as a personal failure). So: as we head into the dog days of summer, consider including Fido when you head off to do fun things. In the immortal words of P.D. Eastman: Go, Dog. Go! This entry was posted in My Crazy Life, Travel. Bookmark the permalink.